The US news network CNN chose Peru as its "Wonder of the month" in its web edition where they published a list of videos from their program The Wonder List for Promperu. The video presented runs through various places in Peru such as The Imperial City of Cusco , the fortress of Sacsayhuaman, Choquequirao , Machu Picchu , Lake Titicaca Along with the South American country, there are destinations such as Iceland, the French Alps, the Galapagos Islands in Ecuador and the Republic of Vanuatu in Oceania. The same website also produced a list of the most underrated restaurants on the planet that were qualified by "CNN", "Heroes not recognized by the World Gastronomy" where Al Toque Pez by Peruvian chef Tomás "Toshi" Matsufuji looks like a proposal Economic, in the district of Surquillo in Lima. For its part Promperu stressed that the priority market in our country is United States and the average spending of a US visitor on his visit to Peru is $ 1,444; While abroad the average spend is $ 994. Finally, it should be noted that last year the arrival of tourists from the United States increased by 8%; in 2016 Peru received 3,774,471 international tourists, of which 586,479 were visitors from the United States. 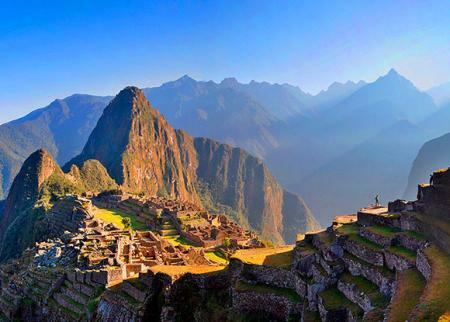 Enjoy the tourism in Peru and visit Machu Picchu, Inca Trail and Huaynapicchu , do not wait any longer and make your reservations, we have the most complete tourist packages to Peru .